Usually measuring up to 30″ long, and weighing in at 6-12 pounds. The striped skunk is found throughout NY. A skunk typically stays within a mile of its den unless it is during breeding season. Breeding season typically runs from late February – March. The Kits (babies) are born during May – early June. Most litter sizes are 4-7 kits but can be up to 10. Skunks are nocturnal animals but may be seen during the day as the mother and kits will try to find food. Skunks in general are loners. However females will be seen with the young who are dependent on their mother. Skunks are not true hibernators but will spend up to three and a half months sleeping. They will emerge from time to time during breaks of warmer weather. Skunks can spray up to 16′ and are able to spray starting at 2-4 weeks old. The will generally stomp their feet, walk backwards, and arch their back before they spray. 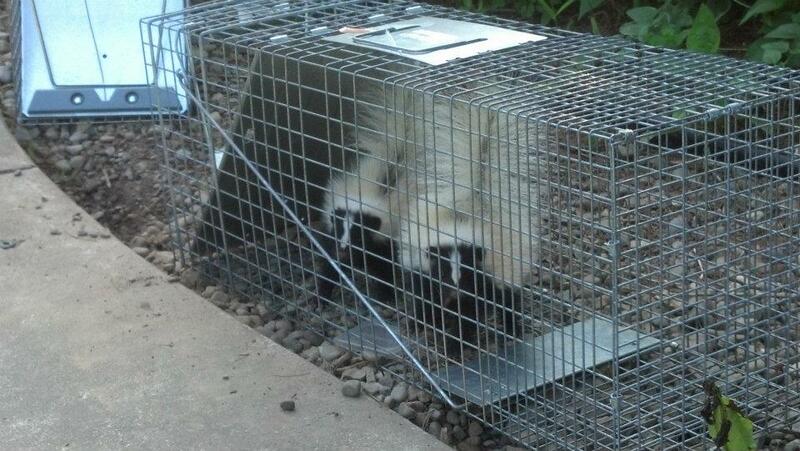 If the skunk makes a U shape with its head and tail pointed at you be prepared to not be allowed back into the house. 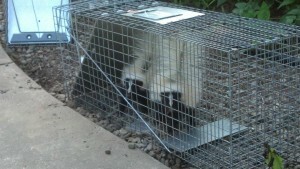 Skunks will den under porches, decks, foundations, sheds, barns, garages, and anywhere else they may feel safe. If they have found their way under these areas it would be advised to have a “rat wall” (see the rat wall tab) installed after the removal of the animal. The rat wall is an effective way to keep unwanted wildlife from gaining entry to these areas. We at Eviction Nuisance Wildlife Control can either trap and remove your skunk or through the use of a 1-way door make sure you skunk leaves the area. With exclusion work we will make sure the stinker never returns. Skunks stinking up in or around Rochester, NY? Call Eviction Nuisance Wildlife Control today @ 585-330-8786.